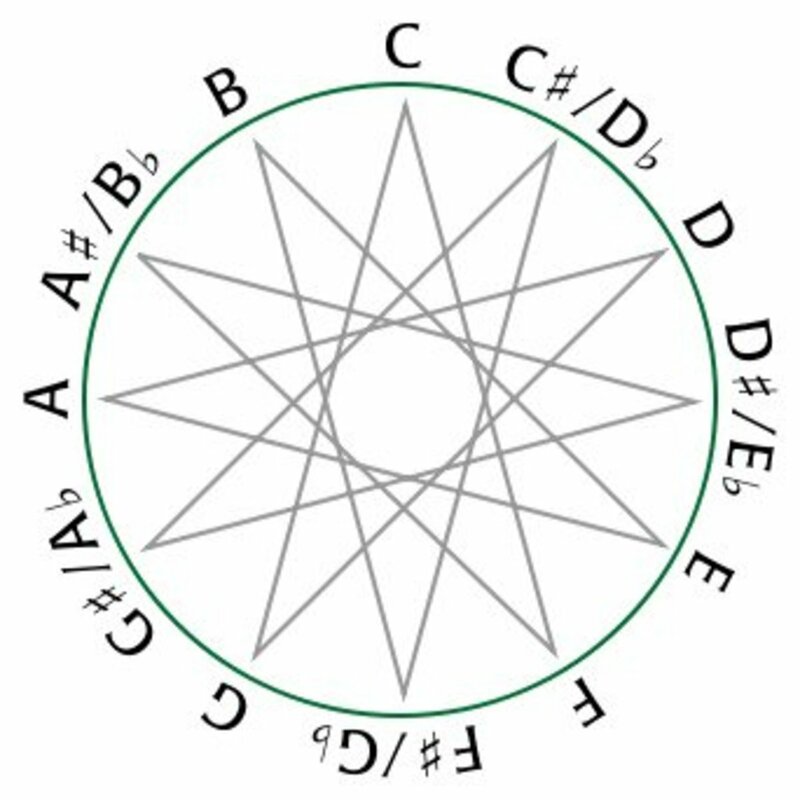 What are the circle of fifths? This is rather simple theory which shows an interesting relationship of chords. 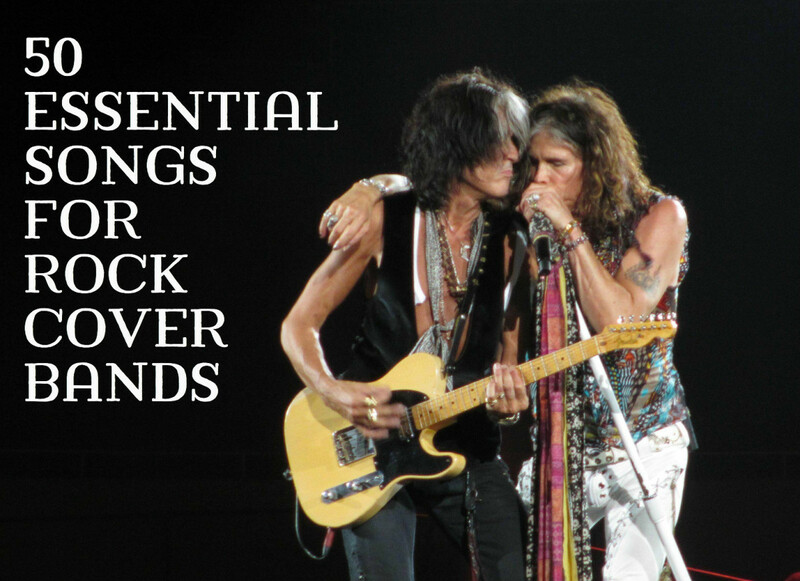 Once you learn these it makes improvising a lot easier since you will understand better which chords can follow without having to resort to trial and error. Simply playing the chords around the circle in any direction gives a gospel sounding vibe. This is because even though the chords are related to each but will have different scales. Playing a set of chords within a given scale may sound and feel technically correct but there will be very little tension or emotion in your production. It will also lack originality. 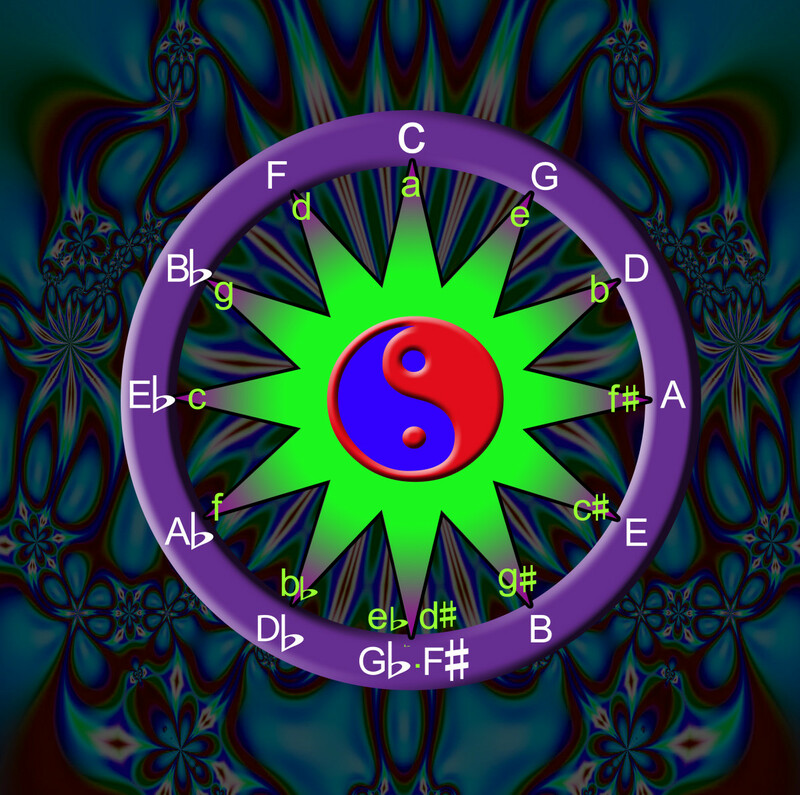 The Circle of fifths will enable you to explore chords in a variety of scales for a deeper sound. Looking at the chart it is actually easier to read counter-clockwise, in steps of four. In every scale there a two major chords. e.g. in the scale of C Major the two majors are C Major and F major 4 steps away. So C Maj then F Maj are the first two steps and naturally go together. 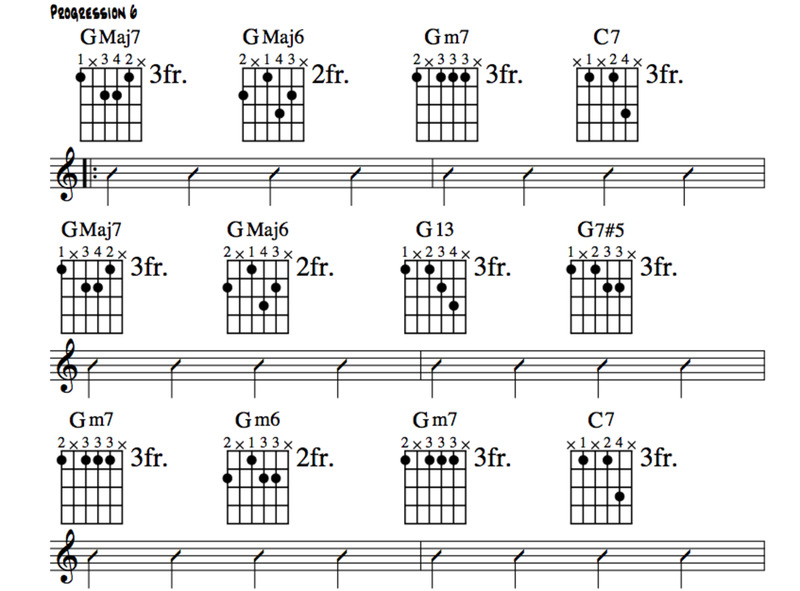 The F major is also of course the first chord in the F scale. The next major chord is the B flat Major. If you try playing C Maj, F Maj then Bb Maj you will notice how natural they sound together. It's very useful and easy to memorize all of these in a circle, since it will help you jump around scale for improvisation. Many people who improvise tend to be stuck in their (comfort zone) scales and keys, including myself before understanding the circle of 5ths (4ths). A good idea is to simply memorize them by continuously playing around the circle. The inner circle follows the same principle except its the minor chords. 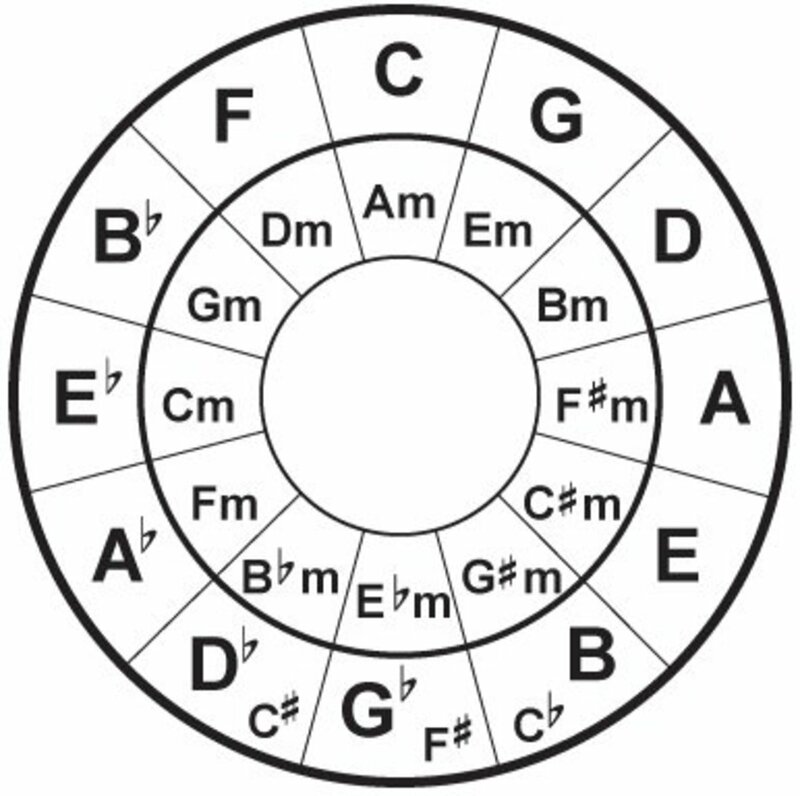 You could easily base a whole song using the chords in a circle, however you would need a very good singer who could handle the constant changes in key. An amateur singer would no doubt have difficulty since they would be looking a single key. It would also be good for a bridge in a song where the key often goes on a tangent then gets resolved back to the verse. Try introducing some of these extra major chords into your productions and notice how you will get strong tension from the chords. You will hear chord sequences based on the circle of 5th's in Gospel / Neo Soul sounding music. Since every chord is a Major (or minor) there is naturally a lot of tension in the changes which suits the Gospel / soul genre. Jazz differs a little in that Jazz will be based in one key (in most cases) but will "borrow" chords from others scales for mood/tension and then resolve back to the main scale. In any case this theory is very useful to know for musicians of any genre. It is also good for improvising since you can easily move into other scales by going 5 steps up from the Major. If you are playing on the keyboard, there is a really easy short cut to follow. 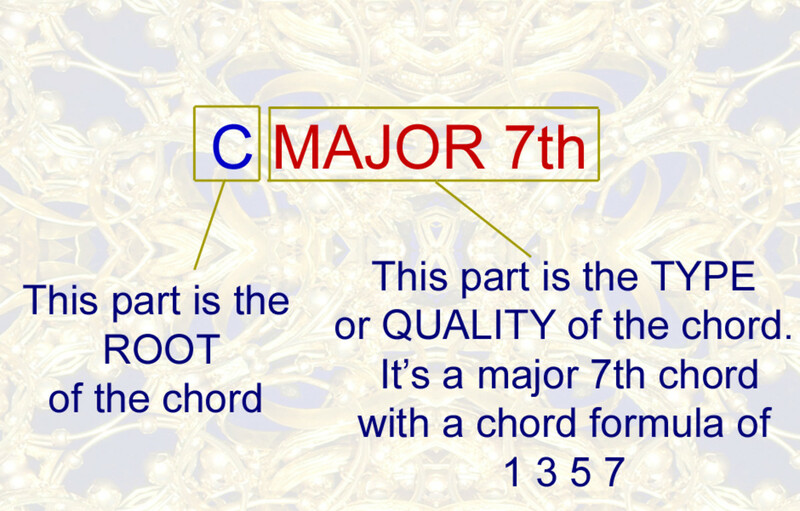 For example, if you play a Cmaj7th or even a plain Cmaj, have a look where your the 5th key is, it's on the "G", therefore the Gmaj is the beginning of the second chord. 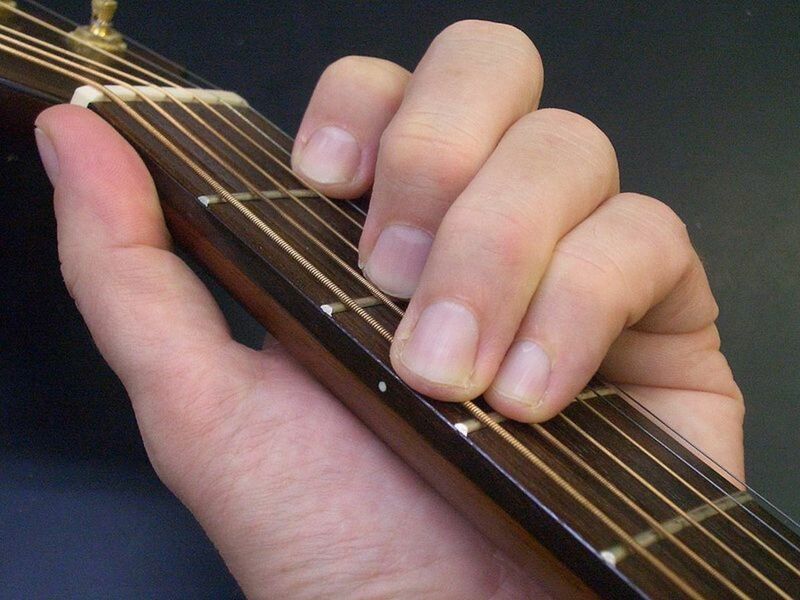 The 5th of the Gmaj chord is the "D" therefore simple play the Dmaj and so on simple. For a guitar player is it much different, you will unfortunately need to memorize the chords in the circle, but they shouldn't take that long to learn anyway. This will be the biggest obstacle for many singers unless you are used to singing Gospel. Since all the chords are major chords, there are constant key changes, well at least other chords since the keys overlap. The singer real needs to be able to follow the correct key and harmonize in the correct melody, otherwise it will sound very off and out of key. The singer in the below video is able to do this extremely well, however she is a Gospel singer, and very used to the keyboardist (her husband) playing very complex chord arrangements in various keys. Some people don't actually know where the perfect 5th is on the piano. An easy way to remember is to simply start on any key e.g. C and count 7 step to the right including the black keys. So if you start on C and count 7 keys to the right to end of with G which is the perfect 5th and the root of the next chord in the sequence. Try it again with G, count 7 steps to the right including the black and to arrive at D - magic. Each step in the 5th has a relationship in terms of music. It doesn't add up quite correct in terms of mathematics, but it is half of a octave in terms of music. Try playing these notes round and round again on the keyboard and you will be able to hear clearly the relationship of the notes in tone. Incidentally, going around the opposite direction gives you the circle of 4ths instead which some people actually find easier to relate to. The circle of 5ths is a good chance to learn how to improvise over all 12 scales, since every over technical change of chord is a new key. Therefor it can be a really good exercise for you to continuously go round and round with the scales. Learn Neo Soul Chords by downloading the MIDI files. Do you mind writting the Chords they are using to understand it better? Thanks for breaking down this theory. Very useful to know. Especially for this music genre. Ok so this is a very good song starter lol love it! RedElf, thanks. It's very usefull theory to learn, especially for freestyle playing. Rated interesting, useful, and up - thanks for the clear discussion of theory. You have inspired me to start practicing again. DDS, thank you very much. 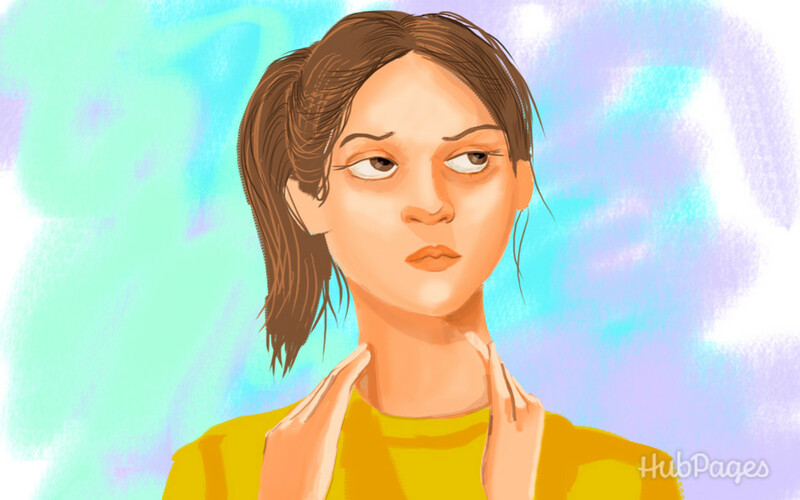 Ok very useful and very cool article. Voted up!